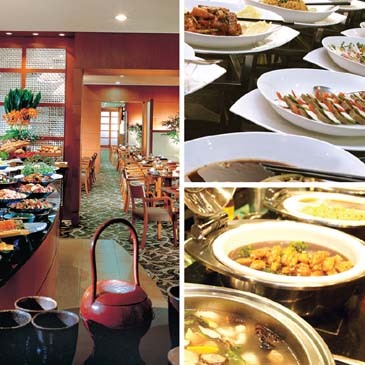 Until September 30 the COEX InterContinental Seoul's The Brasserie (1F) will be featuring a "section buffet." If you feel daunted by a huge selection of buffet items at lunchtime, then this is your opportunity to select only the foods that you especially like and enjoy them to your heart's content at a reduced price. For example, make your selections for the appetizer, salad, and dessert corners and then choose from either our hot or cold main menu item buffets. At our cold food corner we're featuring a lighter, healthier, lower fat selection of items such as sashimi, sushi, and soba. Our hot menu selection includes Mongolian BBQ as well as pasta, roast chicken, salmon, and beef. With our "section buffet" you choose the style of food you feel most comfortable with on any given day.